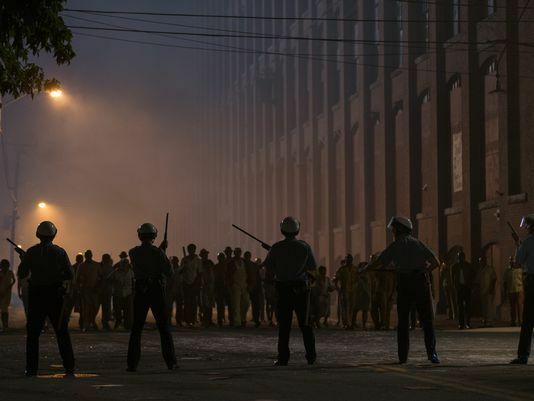 Kathryn Bigelow, the director that has blessed movie fans with Point Break, The Hurt Locker, and Zero Dark Thirty, has added Detroit to her profile. This particular effort would have been better suited as a documentary. 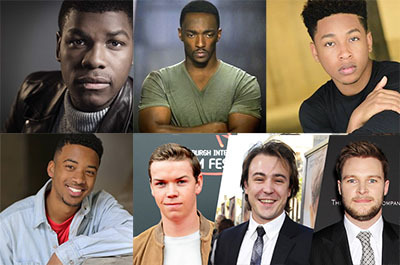 Bigelow has wrangled a who’s who of hot young actors (John Boyega, Anthony Mackie, Will Porter and Algee Smith) to name a few. All are strong actors, but I felt they were misused in this film. Will Porter of The Revenant and Maze Runner fame, portrayed the main police antagonist. While he is a fine actor, he looked and seemed far too young for the role. John Boyega, was completely wasted and did not add anything to the story. While I understand this is a true event and the character he was portraying really existed, I think a lesser actor could have done the exact same thing. Mr. Mackie, who seems to find his way onto wonderful movie sets, was strong but was overshadowed by the persistent hatred and morally inhumane violence. The film left me asking a few questions. Why was this movie made? What was the point? How does this push the racial injustice narrative along? Was Bigelow more interested in exploiting one of the many horrific injustices involving white police and black civilians? Did she envision people leaving this film feeling a sense of cause and progress? I immediately went to Fruitvale Station (2013), Selma (2014) or even Schindler’s List (1993). These films put historical events on the big screen and left audiences with answers. I did not leave the theater wondering if I had just witnessed exploitation. I left feeling uplifted and inspired to never see these atrocities happen again, and with a sense of hope. After consuming Detroit, I felt dirty. I felt as if I just watched a movie that threw racial injustice directly in my face and said, “Oh well, such is life.” Maybe it is the climate that we live in, but it seemed to prove that this has been going on for years and there is nothing that can be done about it. The same things that happened in 1967 are still taking place today. Clocking in at a heavy two and half hours, the final act seemed to drag on, especially after such an emotional second act. I was mentally drained, and looking for a hasty exit. Is there a next step? Or will this movie further prove that we as a country are okay with exploiting these events without actually learning from them? Was Bigelow laughing at us? Was she empathetic? Does this film make her feel better about herself? Visually, the film was stunning and really brought you into the hotel lobby with the characters. But this proved to be both a blessing and a curse. I recommend seeing this movie but prepare for some tough moments.